Students Mya Alford and Garvin Smith, along with the leadership from The Pittsburgh Promise, met with employees and toured the American Textile facility. The students also received a gift of the company’s bedding items for their dorm rooms. The Pittsburgh Promise is a nonprofit organization whose mission is to help create a public school system with graduates prepared for higher education and a commitment to their community. The Promise offers a college or trade school scholarship to every eligible graduating senior of a Pittsburgh Public High School. “We support The Pittsburgh Promise because we believe education can transform a life and a region,” says Blake Ruttenberg, Executive Vice President of American Textile. “Over 8,000 students have received a scholarship since 2008. By supporting The Pittsburgh Promise, we change the lives of students today and prepare the leaders of tomorrow.” Rutternberg is also a board member of The Pittsburgh Promise. Mya and Garvin are representative of the thousands of students who have been able to take advantage of The Pittsburgh Promise to pursue their education beyond high school. Mya is a student at Penn State Altoona. She is interested in engineering and nursing. She graduated from Westinghouse High School in Pittsburgh, where she was also class president. Garvin is studying computer engineering at Penn State Altoona. He’s interested in technology and computers. He is a graduate of Westinghouse High School. To learn more about this nonprofit that is helping students in Pittsburgh succeed, visit The Pittsburgh Promise. Pittsburgh-based American Textile Company is a leading provider of innovative sleep solutions sold under AllerEase®, Sealy®, Tempur-Pedic® and other brands, as well as store brand labels. Family-owned and operated for over 90 years, its mattress and pillow protectors, pillows, comforters, mattress pads, sheet sets and blankets are sold in over 40,000 stores, catalogs and online retailers across the U.S., Canada, and Mexico. 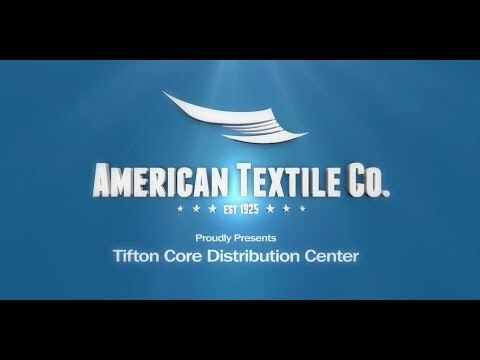 Visit www.americantextile.com for more information.